We hope that this disclosure will help increase your confidence in our sites and enhance your experience on the Internet. There are a few activities on our sites where the collection of personally identifiable information is necessary. Those activities include things like entering a contest or sweepstakes, signing up for a free e-mail subscription, or contacting us. When personally identifiable information is collected, you will know because you will have to fill out a form. One of the most valuable assets of our business is you. We aren't in the business of selling information about our users. However, if there is a value for our users, we will share your information or send you messages on behalf of another company as described below. We will also share information for security reasons. You may print copies of the information on any property of The Nautical School web site for your personal use, store the files on your computer for personal use, or reference this server from your own documents. Remember that The Nautical School retains copyright on all text and graphics. This means that you may not distribute text or graphics to others without the express written consent of The Nautical School. Also, you may not, without our permission, copy and distribute this information on any other server, or modify or reuse text or graphics on this system or another system. The Nautical School reserves all other rights. Unless otherwise specified, the materials on all The Nautical School property sites are presented solely for the purpose of promoting services available in the United States, its territories, possessions and protectorates. The Nautical School makes no representation that materials in any property site are appropriate or available for use in other locations. If you access the site from locations other than the United States, you are responsible for compliance with any applicable local laws. All comments, suggestions, ideas, notes, drawings, concepts, or other information disclosed or offered to The Nautical School or its properties by this site or in response to solicitations shall be deemed, and shall remain the property of The Nautical School. 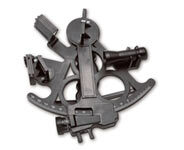 You understand and acknowledge that The Nautical School has both internal resources and other external resources which may have developed, or may in the future develop, ideas identical to or similar to the suggestion or comments to suggestions and that The Nautical School is only willing to consider the suggestion on these terms; that, in any event, any suggestion is not submitted in confidence, and The Nautical School assumes no obligation, express or implied, by considering it. Without limitation, The Nautical School shall exclusively own all now known, or hereafter existing rights, to the suggestions of every kind and nature throughout the Universe and shall be entitled to unrestricted use of the comments for any purpose whatsoever, commercial or otherwise, without compensation to the provider of the suggestions.